Craig Thibodeau&apos;s Art Deco entry table, featuring a pau ferro veneer exterior, a quilted maple veneer top bordered with Gabon ebony inlay and 15 different types of wood veneer for the trompe l’oeil interior, took top honors in the 2013 Veneer Tech Craftsman&apos;s Challenge. 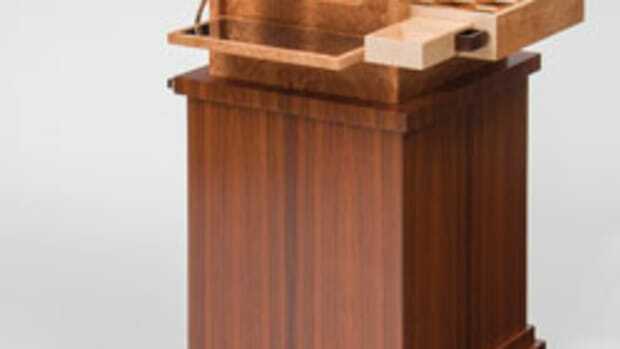 Thibodeau, of CT Fine Furniture in San Diego, won $3,000 in the ninth annual design competition recognizing excellence in veneer woodworking. The winners were announced during the AWFS fair in Las Vegas. 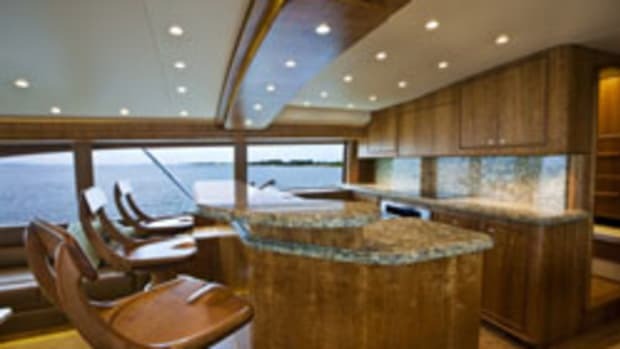 • Cabinetry – Jarrett Bay Boatworks in Beaufort, N.C.
• Furniture – Studio of Michael P. McDunn in Greenville, S.C.
• Specialty Items – Colin Smith of Long Beach, Calif.
To view the winning pieces, visit www.veneertech.com.